Do Your Clothes Fit? Here are 7 Ways to Tell! Fashion trends may come and go, but proper fit will last forever. When we ask ourselves if something “fits”, the answer is almost always yes, so long as we can button the buttons and zip the zippers. However, we’ve all seen how the same shirt and slacks, when adjusted for proper fit, can transform any look from sloppy to professional. 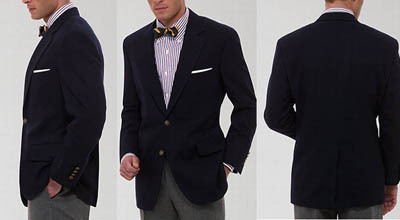 With today’s abundance of online sizes and knowledgeable tailors, well fitting clothes are a must. Gentlemen, here is a breakdown of how your clothes should fit, and how to fix them if they don’t. * Just right: cuff stops right where the wrist and palm meet. Here is a great example of a well-fitting shirt. The sleeves are the correct length, the torso is flushed, and the collar is just right. This illustration contrasts the poor and good fits. The left image depicts a baggy seat and thigh, and a not-quite-right waist. The man on the right, however, has his fit down pat! This gentleman’s jacket fits in all the right ways, yielding a very polished look. So, there you have it: the in’s and out’s of men’s fit. 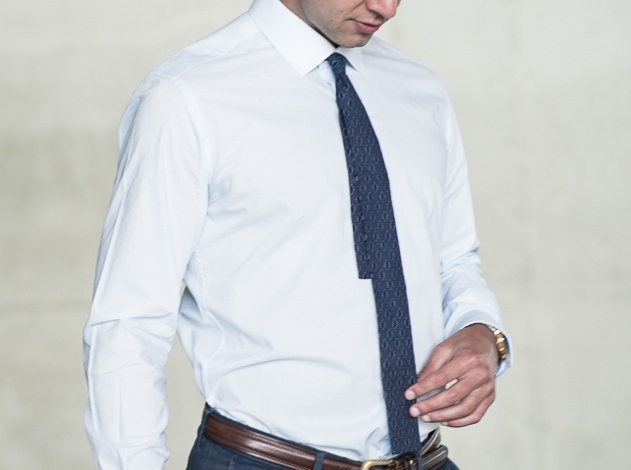 Mulberrys is honored to help you achieve that look, whether it be at our on-site tailoring locations (Minneapolis, St. Louis Park, Edina, and measurements at Grand), or just a routine cleaning and pressing!